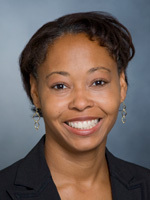 Dr. Adams' work has focused on the determinants of suboptimal use of potentially beneficial health care services among disparities populations, including racial differences in medication adherence and the impact of changes in health policy on access to high quality health services and health outcomes for vulnerable patients. Dr. Adams is a member of the Kaiser Permanente Disparities Working Group and the Advisory Committee on Quality for the California Health Families Program. ​The Advancing Geriatrics Infrastructure and Network Growth (AGING) Initiative was initiated in 2014 to bridge the Health Care Systems Research Network (HCSRN) with the Older Americans Independence Centers (OAICs, also known as “Pepper Centers”) in order to advance an interdisciplinary research agenda focused on older adults with multiple chronic conditions. The overarching aim of this current project is to build upon AGING’s efforts to create a mature and sustainable infrastructure to advance an interdisciplinary research agenda to improve the care and well-being of these adults. This 18-month research project will bring together a multidisciplinary team of scientists and clinicians from four Kaiser Permanente regions (Kaiser Permanente Northern California, Kaiser Permanente Colorado, Kaiser Permanente Hawaii, and Kaiser Permanente of the Mid-Atlantic States) to identify patients most likely to benefit from intensive monitoring of diabetic peripheral neuropathy symptoms using predictive modeling strategies. The long-term goal of this study is to improve medical management of diabetic peripheral neuropathy while enhancing both the patient and provider experience and reducing healthcare costs. Does Free Medicines Coverage Improve Diabetes Self-Care and Outcomes for Diverse Populations? This is a quasi-experimental longitudinal study to evaluate the impact of Kaiser Permanente Hawaii WellRx — a program intended to engage patients more effectively in their self-care — among a diverse cohort of patients with diabetes. The study evaluates a natural experiment in which select employers and patients were offered zero dollar cost sharing for chronic disease medications. This study will use Kaiser Permanente Hawaii data only. This project is a continuation of a study we recently conducted to identify and prioritize treatment outcomes of relevance to patients with diabetic peripheral neuropathy (DPN). DPN affects 30% to 50% of all adults with diabetes and symptoms such as pain, tingling, numbness or a burning sensation in the extremities can be sudden and severe. Currently, only two prescription medications are approved for treatment of DPN symptoms, though many more are routinely used in practice. Clinical trials suggest that commonly used therapies have similar efficacy with respect to pain relief. However, side effects are common and little is known about the relative efficacy of these medications in addressing other patient-valued outcomes (e.g., quality of life). The goal of the proposal is to evaluate whether a clinical decision aid that includes information on patient treatment preferences can improve treatment persistence and outcomes that are important to patients. Clin Trials. 2016 Mar 31. Clin Ther. 2015 Jan 22. JAMA Intern Med. 2013 Jan 14;173(1):54-61. ​​Diabetes Care. 2008 May;31(5):916-21. doi: 10.2337/dc07-1924. Epub 2008 Jan 30. Lung Cancer. 2018 Nov;125:51-56. Epub 2018-09-11. Automated symptom and treatment side effect monitoring for improved quality of life among adults with diabetic peripheral neuropathy in primary care: a pragmatic, cluster, randomized, controlled trial. Diabetic medicine : a journal of the British Diabetic Association. 2018 Oct 21;9(1):4264. Epub 2018-10-21. Learn Health Syst. 2017 Oct;1(4). Epub 2017-07-12. Value Health. 2017 Dec;20(10):1345-1354. Epub 2017-07-06. Health Serv Res. 2017 May 05. Curr Diab Rep. 2017 May;17(5):31. Patient Prefer Adherence. 2017;11:643-652. Epub 2017-03-24. J Causal Inference. 2017 03;5(1). Epub 2017-01-18. Healthc (Amst). 2016 Dec 06. Psychiatr Serv. 2016 May 2:appips201500180. J Health Commun. 2016 May;21(5):544-53. Epub 2016-04-26. Contemp Clin Trials. 2016 Jan 25. J Am Med Inform Assoc. 2015 Sep;22(5):957-61. Epub 2015-06-15. J Diabetes Complicat. 2015 Aug 22. J Aging Health. 2015 Aug;27(5):894-918. Epub 2015-02-05. Health Serv Res. 2015 Apr;50(2):537-59. Epub 2014-08-15. BMJ Open Diabetes Res Care. 2014;2(1):e000043. Epub 2014-11-17. J Gen Intern Med. 2014 Aug;29(8):1139-47. J Clin Hypertens (Greenwich). 2014 Jun;16(6):412-7. Epub 2014-04-10. Psychiatr Serv. 2014 Mar 1;65(3):323-9. Am J Manag Care. 2013 May;19(5):344-52. J Gen Intern Med. 2013 Sep;28(9):1181-7. Epub 2013-03-20. Ann Intern Med. 2013 Mar 5;158(5 Pt 2):365-8. Diabetes Care. 2013 Mar;36(3):574-9. Epub 2012 Oct 15. J Gen Intern Med. 2012 Dec;27(12):1674-81. Epub 2012 Aug 2. Ann Intern Med. 2011 May 17;154(10):693-6. Am J Manag Care. 2011 May;17(5):339-44. Diabetes Care. 2011 Apr;34(4):930-7. Epub 2011 Feb 24. Health Aff (Millwood). 2011 Feb;30(2):293-301. Am J Manag Care. 2010 Nov;16(11):833-40. J Gen Intern Med. 2010 Aug;25(8):763; author reply 765. Clin Ther. 2010 Apr;32(4):729-41; discussion 716. Soc Work Public Health. 2009 Nov-Dec;24(6):600-12. Health Policy. 2009 Sep;92(1):55-64. Epub 2009 Mar 26. Environ Res. 2009 Jul;109(5):629-33. Epub 2009 May 8. Arch Intern Med. 2009 Apr 27;169(8):750-6. BMC Health Serv Res. 2009 Feb 7;9:24.